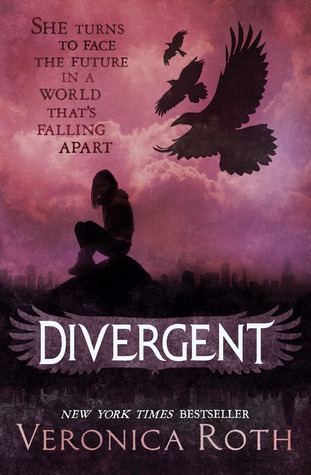 At the beginning of Divergent, I couldn't really relate to the Dauntless at all, I couldn't understand them, and then I realised that I didn't really like the way they and some of the other factions worked. Then I realised that maybe that was how I was supposed to feel, because, while some members of Dauntless understood the real values of the faction ("I believe in ordinary acts of bravery, in the courage that drives one person to stand up for another"), they were then punished for that, and it was clearly a corrupt faction, just as Erudite was discovered to be, and maybe even just as the whole faction system was. I thought it was clever how you came to realise these facts over time while reading the book. The story included some really interesting ideas, of the future, of a dystopian society, with the factions, the relationships between them, down to the characters themselves. All of these ideas were well thought out and consequently quite interesting. It was clear that a lot of thought and effort had gone into creating the world of Divergent, and that left me intrigued to know more about it.